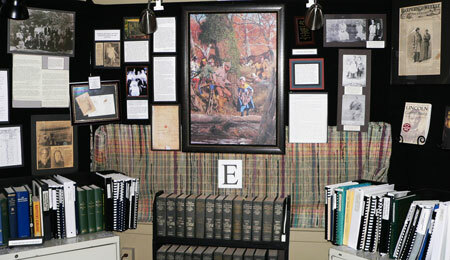 Join us on Facebook at the new location Boyle County Genealogical and Historical Society, Inc. The Boyle County Genealogical & Historical Society, Inc. of Danville, Kentucky, would like to invite you to our meetings every third Monday of the month at 6:30 p.m., unless indicated differently on the Calendar page. The meeting location is the Boyle County Public Library at the corner of Broadway and Third Street, Danville unless otherwise noted. Everyone is welcome to come hear interesting speakers, members or not. For those of you who are Facebook.com fans, you will also enjoy the group site there called "You may be from Boyle County if ...." The site contains many old pictures of our county, also with interesting tidbits about schools, people, places and events. Try it out and see if you don't enjoy it. Saturday, May 19, 2018 9 a.m. - 3:00 p.m.
"The Forgotten War: Kentuckians in the War of 1812"
United States and on the McDowell-Shelby-Warren family. "North and South? Finding Your Kentucky Civil War Ancestor"
during the war. As editor of the Kentucky Ancestors Magazine, a publication from the Kentucky Historical Society, Don integrated genealogical research into his study of the war. Don will help you find and learn about your Kentucky Civil War relative and whether he wore blue, gray, or butternut. "Tribute to Valor and Courage -- The World Wars"
the Library of Congress' Veteran's Oral History Project. He is a member of the Military Writers Society of America. Rick has chronicled many of the stories of America's "Greatest Generation"
in his book, Tribute to Valor and Courage, and he has shared their accomplishment through his presentations in bookstores, churches, schools, retirement homes, libraries, and other venues. He is currently working on a sequel to this book. Please sign up early. Remember that the limited number of participants is 50. Pre-registration is required for the catered lunch. Reserve May 19, 2018 for a very special day. Cost $30 (catered lunch is included) No refunds after May 14th. REMEMBER: All dues-paying members of Boyle County Genealogical & Historical Society, Inc. get a 15% discount on any of the books that the group is selling. This discount does apply to Brenda Edward's new book. To those of you who are interested in receiving our e-mail newsletter every two months, the following memberships are available: Individual membership - $10, Family Membership - $15, Student membership - $7, and Corporate Sponsor - $100, For paper copies of the newsletter, please add $5 to cover postage. Send your membership dues to Carolyn Crabtree, treasurer; Boyle County Genealogical & Historical Society, Inc. (BCGHS); P.O. Box 24, Parksville, KY 40464. • The 1896 illustrated program of the Woodland Park Kentucky Chautauqua Assembly. • A published transcript of Maude Ward Lafferty’s 1917 local history speech, The Town Branch. these rare items more widely available while still safely preserved. The Boyle County Genealogical and Historical Society, Inc. offers for sale a CD of Bill and Beulah Jones' massive work on Danville's Bellevue Cemetery Records. The new CD contains more than 14,000 documented and well-researched entries, adding to and correcting the city's records. 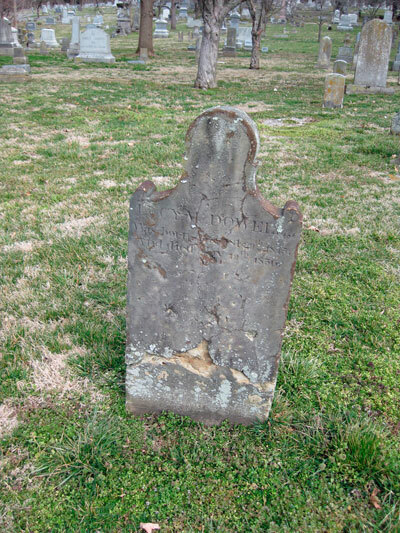 Though Bellevue is not the oldest cemetery in the county, many earlier interments have been moved to the Bellevue Cemetery, so Bellevue has become the resting place of many important historical figures in the central Kentucky area, including the members of Judge Samuel McDowell family. Bill and Beulah Jones have spent several years working on this project by walking the cemetery and building the extensive data base that is now available to the public. The CD contains a Microsoft Excel file of the records (printable on 8-1/2 by 14 paper), an Adobe PDF version, and explanatory page, and a series of overall and detailed maps of Bellevue. The cost is $25 which includes taxes, shipping and handling. If ordered by mail send a check for $25 payable to the Boyle County Genealogical and History Society, Inc. (BCGAS) and mail to Treasurer Carolyn Crabtree, P.O. Box 24, Parksville, KY 40464.